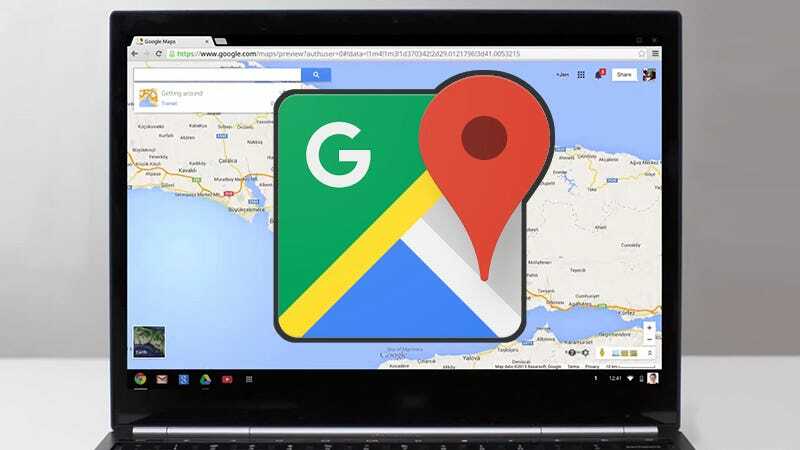 Google Maps has been available for more than 10 years now, and since its launch, a huge swatch of features and functions have been added to the service. Are you sure you know all of them? Here are our favorite tips and tricks for getting more out of Google’s mapping service. In the summer of 2015, Google introduced a feature that allowed you to see all the places you’ve visited, as logged by your phone. To check it out go to www.google.com/maps/timeline on the web to see it or choose Your timeline from the app menu on your Android device. For some, it can serve as a very useful record split up by day; for others, it’s a creepy intrusion. If you want to switch it off, click the cog icon on the web interface and choose Pause Location History (you can also delete and download all the data Google’s collected so far if you want). Google Now is stretching its artificial intelligence into just about everything Google does, and Maps is no exception. Try running a Google Now voice search on your phone like “next bus to Atlanta” or “how long does it take to Santa Monica” for example. You can even run searches through the main Google search interface. Something like “driving directions to London” will bring up exactly that. Chances are if you can frame your request as a search, then Google Now (or Google) brings up the answer in Google Maps. The Explore section of Google Maps on mobile (you can find it in the main app menu) is more nuanced than you might think if you’ve never opened it up. You can filter results by occasion, time of day, budget, and also check out what the locals recommend. Google presumably works this out by factoring in ratings from its Local Guides. The feature can be a useful way of discovering places that you might otherwise miss when you’re exploring. You’re probably familiar with the step-by-step navigation mode in Google Maps, but you don’t necessarily need to be going anywhere to get traffic updates. From the main app menu, tap Start driving and you’re off (it’s only available on Android for the time being). Why would you want to do such a thing? Because you’ll get live traffic updates for the road ahead, even without specifying a destination, and Maps shows you travel times to places you visit frequently (such as your house). You can also quickly search for points of interest nearby. Google Maps for Android also comes with a special widget that lets you launch directions to a specific place (like the office) with a tap, from wherever in the world you happen to be. Find the home screen widgets list on your Android phone of choice, then select the Directions 1 x 1 icon from under the Maps heading. On the next screen you can specify a destination, a name for the shortcut, and a mode of transportation for your widget. This is one of those basic Google Maps features (Apple Maps has it too) that’s been around forever but which some people don’t know about. You can tap once on the GPS icon to see you current location, but then you can tap it again to switch to a ‘compass’ mode. That means as you swing your phone around, the map on screen shifts to show exactly which way you’re facing (using the magnetometer inside your iPhone or Android device). If you’re lost or trying to understand directions it can prove to be an invaluable mode to have. Hopefully you’ve heard of this one by now, but just in case you haven’t, here’s the deal: You can cache maps on your phone so they’re still accessible even without a data connection. It’s handy for driving around of course, but also for exploring remote parts of the country far from civilization on foot. You don’t get any live info, like traffic updates, but directions still work and GPS doesn’t rely on a data signal. From the app menu on Android or iOS, choose Offline areas, tap the large blue plus icon to add a new area, and then select the particular region on the map. Maybe you want to give a bar the name everyone calls it rather than its real name, or just make your friend’s house easier to find on Google Maps. Whatever the reason is, there’s an option for adding your own labels to places that appear across mobile and the web. For dropped pins, you’ll see a Label button right at the top of the card; for named places, there’s an Add label option hidden behind the More menu (three vertical dots). Your new labels only appear to you but will be listed as results whenever you search Google Maps. Leaving reviews for places you’ve visited is a great way of telling Google the types of spots you like (for future reference) and guiding those who come after you. You can do it on the desktop or mobile and if you do it often enough you’ll be invited to become a Local Guide. As a Guide you get early access to various Google services and apps (like Trips), a badge next to your name, and (if you leave enough reviews) additional Google Drive space. You can post photos of local spots too, and Google will tell you how many people view them. Speaking of giving something back to the Maps community, you can fix errors inside the app with just a couple of clicks (or taps). You can edit things like roads that aren’t marked but should be or restaurant opening times that are out of date. You can flag up pretty much any problem. From a place’s card in the apps for Android and iOS, or on the web, you can tap Suggest an edit if something isn’t right or Add a missing place if you’ve just dropped a pin. Occasionally you might be asked to verify a suggestion someone else has made.